Bournemouth have become the latest Premier League side to take an interest in Stoke City goalkeeper Jack Butland, it has been reported. The England goalkeeper has been an ever present for the Potters in the Championship this season following relegation from the Premier League, and is expected to attract interest from the top tier in the summer transfer window, with Crystal Palace having already been linked with the stopper. It now appears that The Eagles will have competition to fend off in the race for the 26-year-old, with The Sun reporting that Bournemouth are planning to move for the ‘keeper in the summer as an alternative option to current number one Asmir Begovic. The report also claims that Burnley’s Nick Pope is an option for the Cherries as they prioritise a new stopper. 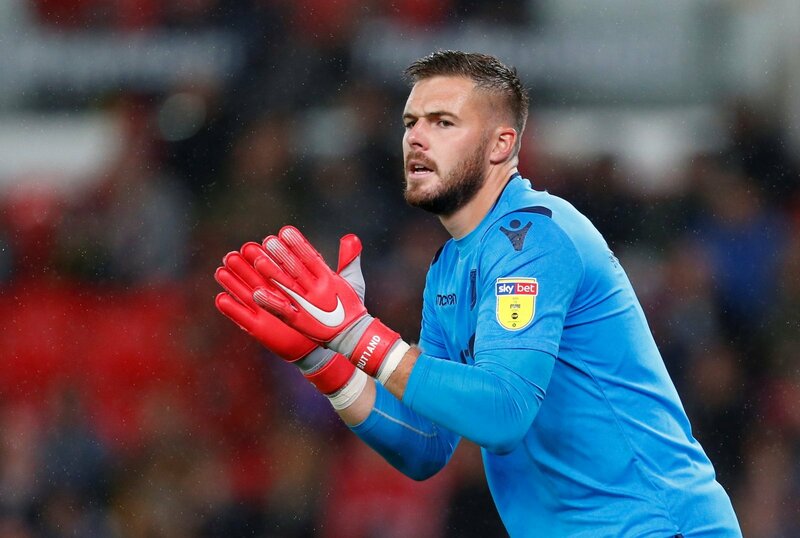 Butland is said to be keen on a return to the Premier League, something that won’t happen with Stoke this season, as they sit 14 points adrift of the Championship play-off places with just five games remaining. You feel Stoke will struggle to fend of Premier League interest for Butland in the summer, and Bournemouth could be the perfect destination for him. The 26-year-old is sure to have plenty of offers on the table and he will feel he has to move to further his career. He will want to get back in the England side and it’s clear that playing in the top-flight is the only way to make that happen.